If you’ve posted 1000s of images, have thousands of followers and you check your profile every hour, I consider you to be an active Instagram user. But if you’re not, let me show you how much work it takes Bob, an active Instagram user, to post something on his profile every day. For the next hour or so, he keeps refreshing the image to see how many likes and comments he received. Bob is victorious only when the total number of likes surpasses the previous picture he had posted. If it doesn’t, he continues refreshing the picture. If Bob is not getting a lot of likes or followers, it must be because he forgot to include a lot of #hashtags. Bob knows that you can include up to 30 hashtags in every Instagram post. So he does that because he’s been told that the more hashtags he uses, the more likes and comments he’ll get. But guess what? That’s not true. A study conducted at Georgia Tech has shown that FACES are what engage us. Photos with faces attract more likes and comments on Instagram. They found that photos with faces are 38% more likely to be liked and 32% more likely to be commented on. By the way, every time I post something on Instagram, I obsess over which hashtags to use. I’m as guilty as most of you. I even force myself to gather up to 30 hashtags to maximize engagement, and also make use of the built-in Instagram search, Iconosquare or websta to figure out which popular hashtags to use. I waste a lot of time on this process thinking it will significantly increase the amount of likes and comments on my posts. Don’t get me wrong – using a lot of hashtags does have an impact, but not as much as we think it does. When I combine relevant hashtags with a picture showing my face or my wife, that’s when I notice that I get more engagement. Over the past couple of years, I’ve been actively using Instagram for my personal brand, my wife’s online store and helping out other online retailers. I was able to grow my personal account to over 10k followers as well as my motivation account passionTribe. My wife has also followed some of my Instagram tactics on her Instagram profile for her online store and so far, she’s been able to gain just over 7k followers and growing. I’ve also been testing what I’m about to share with you on Beadsfactory’s Instagram profile. For this online retailer, I was able to grow their followers, increase the amount of likes and boost traffic to their online store directly by simply following the steps below. 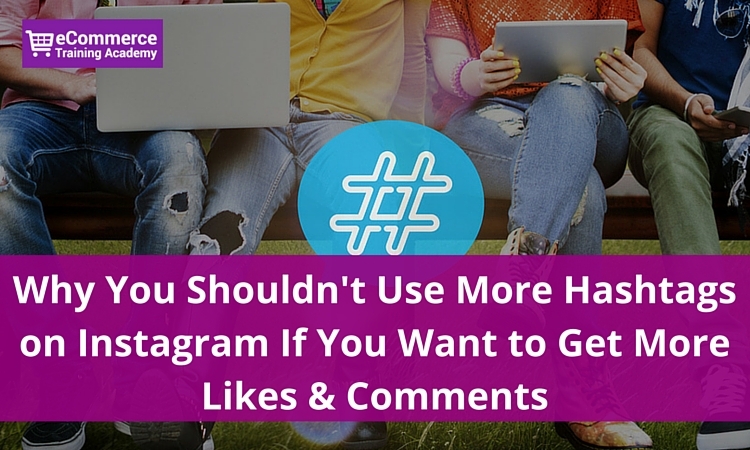 Don’t make the same mistake as everyone else by adding more hashtags to increase likes and comments. What type of value are you trying to provide? 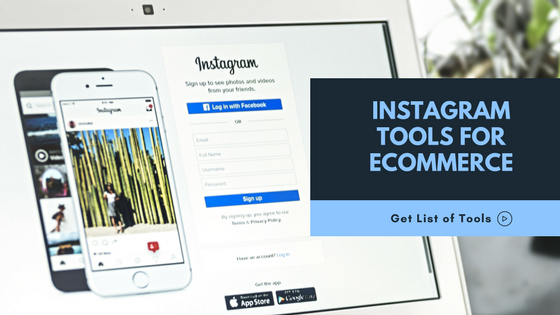 Success for eCommerce businesses on Instagram requires more than simply publishing attractive content such images and videos. A well-thought-out strategy must focus on purpose, brand identity (your voice) and community management. Having a purpose will help define your goals and set objectives on how to attain them in order to produce the expected ROI from your marketing efforts. Your brand identity will help you develop a voice within the Instagram community and improve its overall engagement with your business. Frank & Oak sells men’s fashion and their mission is to help a generation of men dress and live well. Anything they post on Instagram must provide their audience with value with regards to men’s style & lifestyle. Their voice is consistent throughout their content (images & captions). They’ve humanized their brand to match their audience’s expectations. 2. Create Attractive Content – Don’t just sell. Inspire! Before obsessing over getting more likes and followers, it’s important to have a plan. Decide on the type of value you want to provide to followers on Instagram. I used to follow all sorts of retailers only to realize that some of them are simply there trying to sell me. That’s when I unfollow them. 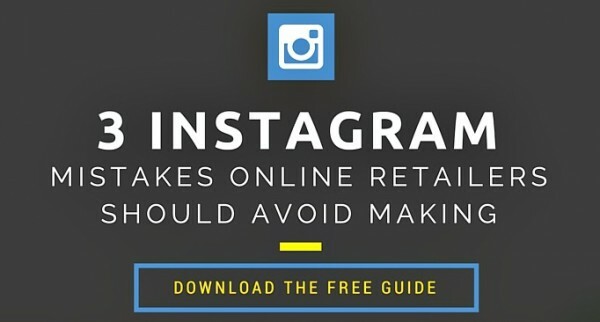 eCommerce businesses have to treat Instagram just like a magazine. We used to buy magazines not because of the ads, but because of the content they provide. We consumed their news, stories, editorials, reviews, trends, tips and so much more. While consuming this valuable info, we were advertised at with relevant ads that matched our lifestyle and we were okay with that. But when a magazine focuses solely on advertising, that’s when they lose our attention. Instagram is a digital magazine for your brand. Don’t simply advertise products, but provide value so that your audience stays connected with you. Provide value such as: Inspiration – if you’re a fashion retailer, you can inspire your followers by showcasing fashion styles using your products. I love how Rw&co showcases their fashion line using some creativity. Motivation – let’s say you sell running apparel for runners, You can post creative quotes to motivate runners to push harder. How-to – say you sell a specific type of BBQ sauce; you can share a mouth-watering image of ribs and include step-by-step instructions on how to make BBQ ribs using your sauce. Product Showcase Videos – if you think an image is worth 1000 words, then a video is worth more. Let’s say you sell blenders; you can post a 15-second video showing the blender in action and how powerful it is. Customer Centric Photos – customers love being recognized and appreciated. So why not include them in your posts? This will serve as positive social proof for your brand. You can create all sorts of content, but those I mentioned are easy to implement right away. Remember to use faces in your posts. Also, consider using animals since people love pets (cats & dogs)! Conversions are not only related to sales. On Instagram, a conversion could be a follow, a like, a comment, a visit to your website, an email signup or a sale of a product. We put a lot of effort into coming up with content ideas, but not much is put into the caption. A caption on Instagram is used to describe the post. Use your creativity when crafting a caption. Add context by giving people details of what is being displayed in your post. Provide a clear call to action in order to help boost engagement. Ask a question, ask for comments, ask for visits to your website. Don’t simply state the obvious. Keep it short and simple! The use of hashtags is key, but using relevant hashtags is far more important. The goal is to get your content discovered by the RIGHT audience on Instagram and not simply to get a like. We obsess over the number of likes a post gets but trust me, there are more important things you can do if you’re trying to grow a profitable eCommerce business. Let’s say I’m selling a men’s beard oil. I would rather have 50 likes from men who actually have a beard than 100 likes from teens and spam accounts. Let’s assume John has a beard and then likes your post about your healthy beard oil. Chances are some of his friends might see your post in their explore tab. Now if they also have a beard, this will create awareness for your brand as it’s relevant to them. Not all hashtags are created equally. Active users spend around 21 minutes a day on Instagram. I consider myself an active user and I usually visit Instagram first thing in the morning, mid-day during lunch time and multiple times in the evening. The first couple of hours after you post your content are the most important if you’re trying to gain attention. Every type of industry is different. Your goal is to get the most engagement possible out of every piece of content you publish. What’s important is to monitor your audience’s engagement throughout the day and figure out the optimal times to post content. I usually recommend posting multiple times a day and adjusting the timings accordingly. I aim for early morning between 7am to 10am, mid-day between 11am – 3pm, and evenings between 5pm – 9pm. If you don’t have time to post during the day, you can use a tool from http://schedugr.am/ to help schedule some of your posts. Whenever someone asks me for my ultimate #1 tip on how to grow any type of social media account, I say: Engage with your following in an authentic way. Don’t focus simply on broadcasting, but engage with content published by other users – specifically those who fit your target audience. They will appreciate it. Don’t go out there following random people. Follow those who fit your audience, especially if you see they’re active and post unique content. For example: if you sell hammocks like Hammock Town, I would want to follow people who love the outdoors. Coolest @Airbnb listing ever. Who would you bring on this hammock camping adventure? @lawsonhammock Also the winner of the ? $50.00 credit is @mikemish for being practical. ? ? A simple like goes a long way. It means you’ve acknowledged what they’ve published and paid attention. For example: consider liking posts of people wearing sunglasses since you sell sunglasses for men and women online. Comment on posts, or reply to comments within your posts. I’m surprised to see how many online retailers simply don’t put any effort into replying to people’s comments left on their Instagram posts. Take the time to do just that. Not only will make your followers feel special, but it’s also a great way to build an engaged community on this social network. Another great way to increase engagement is by commenting on posts of both followers and non-followers. The more you do that, the higher likelihood of them doing the same on your posts. The number of comments you have on your posts can certainly have a positive impact on how your profile is perceived by others. Personally, I’m more inclined to follow accounts that have an engaged community. I posted on my personal Instagram profile a picture of the book Delivery Happiness by Zappos.com’s CEO. Next thing I know, Zappos had actually commented on it. I hope I was able to convince you there are more proven creative of boosting your engagement on Instagram. 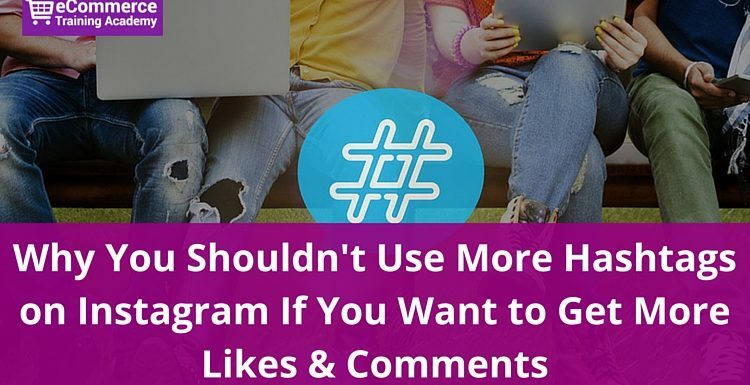 Adding more hashtags isn’t the only way of increasing followers, likes and comments. Create Attractive Content – Don’t just sell. Inspire! Try them out and let me know how it goes. Your Turn – What’s your advice? What tactics have you tried to successfully increase engagement on Instagram? Thanks for the great article. As a small brick and mortar with not much budget for social media I am hoping to employ each of the strategies you have outlined as we implement our new business model later this summer. I am especially looking at implementing photos with faces, something I long avoided as I wanted my customers to envision themselves in our product. Hope to follow up and let you know how it goes. Glad you liked it. Small budgets is common for small businesses. You just gotta think outside the box and never forget about the basics. To post because you are genuinely passionate about what you post. Do never, ever, ask anyone to follow you. If you want someone to follow you, catch their attention by showin genuine interest in what they do, if you are interested. Don’t stalk people or communicate overwhelmingly, instantly suggesting you should meet via PMs and such. Delete fake followers yourself, and report spammers. Have patience, and most of all, don’t focus on the number of followers you have, focus on how relevant the followers you have actually are. Very informative. Easy to understand. From my own experience your article is right on especially about likes. I was obsessed with how many likes I got for over a year. I am Grandmaw @visiblepets on instagram. I love my engagement rate! I do a feature friday post of one of my followers and I do a Monday Update mentioning at least 6 of my friends. I tag all mentioned accounts on the pic so they know they have been noticed by me. Once a account is mentioned by me they instantly become my best followers. I also am building up my #visiblepets by asking friends to use it to be featured on my account. It’s a lot of work. I spend 8 hours a day and 7 days a week on instagram. It’s not easy to get good followers but i would rather have less followers and more good followers. Thanks! I like it. This is a great article. Excellent, it help us for promoting our business. Great article. It’s a very helpful information. Thanks!